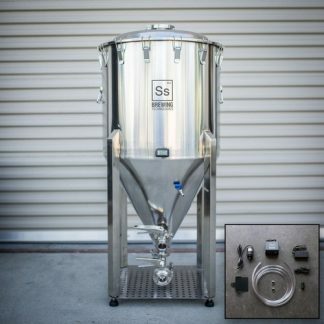 Everything you need to pressurize your keg on the go. 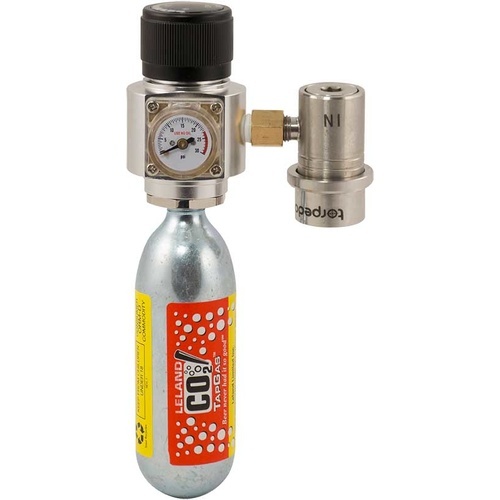 Comes with a mini regulator, CO2 cartridge, and quick disconnect. The regulator has a range of .5-1.5 bars (7-21 psi). This means that, unlike KEG950 that shoots in CO2 at fixed pressure, the mini-reg allows you to precisely dial in pressure and keep it there. It utilizes a disposable 74 gram CO2 cartridge, which is the largest size that can be shipped full. 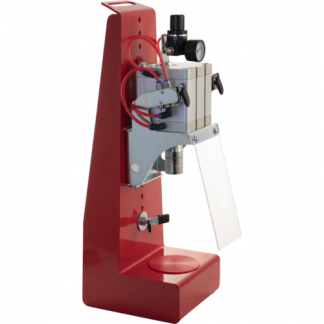 This is a two stage mini-regulator, meaning that it takes the pressure down from 800psi (cartridge pressure) to a lower pressure and then to your set pressure of around 10psi. Two stage regulators are the only way to have consistent pressure. 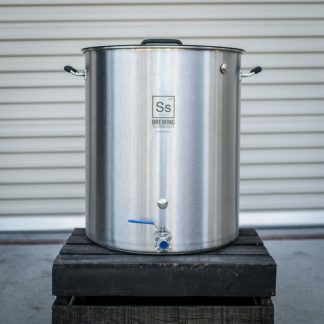 One 74 gram cartridge will typically dispense one 5 gallon keg.